Home » CAD » CAD to GBP » Could Pound Canadian Dollar Exchange Rate Falter on Disappointing BoE Meeting? Investors were encouraged as the UK manufacturing PMI bettered expectations in October, prompting the Pound Canadian Dollar exchange rate to trend higher. The UK manufacturing sector appeared to get off to a strong start in the fourth quarter, suggesting that the negative impact of Brexit-based uncertainty remains somewhat limited. This offered support to the Pound on Wednesday, with this robust growth in manufacturing offering further encouragement to Bank of England (BoE) policymakers. Even so, the GBP CAD exchange rate struggled to maintain a bullish run for long as anticipation for Thursday’s BoE meeting continued to mount. While the impact of a 25bpt interest rate hike has already been largely priced into the Pound there are still concerns that policymakers may adopt a more dovish outlook. As a result Sterling remains vulnerable ahead of the policy announcement, particularly as the November meeting also sees the release of the latest quarterly Inflation Report. If the BoE displays a less optimistic outlook this could weigh heavily on GBP exchange rates, reducing the likelihood of the central bank engaging in a sustained monetary tightening cycle in the near future. Should the BoE surprise markets by leaving interest rates on hold at this juncture the mood towards the Pound is likely to sour significantly, pushing the GBP CAD exchange rate away from its recent highs. Even though the Canadian Dollar came under significant pressure on the back of Tuesday’s disappointing gross domestic product data this bearishness soon eased. In large part this was due to the ongoing oil price rally with Brent crude continuing to trend comfortably above the psychologically important US$60 per barrel mark. Suggestions that the OPEC-led production limiting deal is likely to be extended further helped to keep oil on a bullish trend, offering support to the commodity-correlated Canadian Dollar. 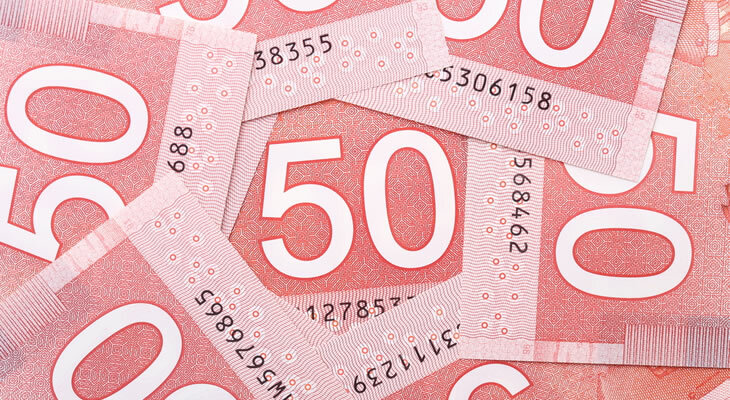 However, the underlying bias of CAD exchange rates remains distinctly dovish, thanks to the neutral policy outlook of the Bank of Canada (BOC). ‘Some of the weakness can be faded, but the cooling in the goods sector is taking a toll on growth. With growth just a notch above trend, the urgency to hike is obviously less convincing and the window to hike will likely tighten by next spring although macro imbalances are still a valid concern. Nevertheless, the GBP CAD exchange rate could come under some degree of pressure ahead of the weekend if October’s raft of Canadian labour market data proves positive. At the time of writing, the Pound Canadian Dollar exchange rate was trending lower in the region of 1.7100. Meanwhile, the Canadian Dollar Pound exchange rate was making modest gains around 0.5842. Next ArticleGBP/EUR Rate Crashes despite BoE Rate Hike – Are Further Losses Ahead?